The inauguration ceremony of “2016 Beijing International Synesthesia Art Exhibition” and “1st Synaesthesia Art Exhibition Forum in China: Cross Regional Synaesthesia Survey” was held at Beijing No.1 Art Space Gallery in Beijing Jianguo Garden Hotel on 9th Oct, 2016 with attendance of art amateurs, teachers and students from art colleges and art circles around Beijing. The exhibition displayed paintings inspired in Chinese classical and foreign music alongside art works reflecting the sensory experience of foreign artists with synaesthesia as well as award winning video art from the international competition MuVi4, music iconography reflecting Chinese ancient art and musical synaesthesia, as well as exhibition panels related to achievements in international synaesthesia research. Notably, photographs demonstrating the phenomenon of synaesthesia in regional Chinese culture aroused much interests; this was linked with the upcoming cross regional programmed synaesthesia survey. The art works were rich and detailed: many in attendance commented that it was “…not just colorful and beautiful pictures or paintings but a kind of new interactive experience between the art works and viewers”. 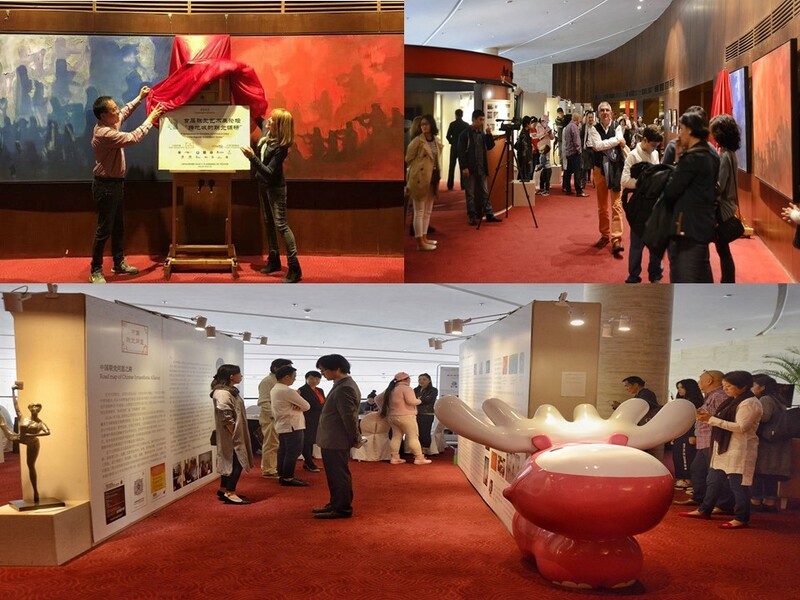 In the afternoon of October 9th, 2016 at Beijing Jianguo Garden Hotel No.1 Art Space, with the chime music, the project host Maria Jose De Cordoba (Spain) and Ninghui Xiong (China) jointly unveiled for the 2016 Beijing international art exhibition and synesthesia “1st synaesthesia Art Exhibition Forum in China: cross regional synaesthesia survey”. There is a long history of artistic synaesthesia in China, which has been a well known story for more than two thousand years, that Zhong Ziqi could understand the music played by Yu Boya, but it lacks systematic and scientific research. Some Chinese scholars and artists realized this and began to investigate. They have held a series of public educational programs called “Painting Music from Your Heart” in Beijing and Shanghai, with the cooperation of theatres, museums and colleges since 2009, and they also went to the schools for the children of migrant workers to teach students how to draw music. They were invited to participate V International Synaesthesia Congress on Synaesthesia, Science and Art in Spain in 2015 and exchanged for the first time with international synaesthesia academic circles the synaesthesia phenomenon in Chinese ancient art and modern art synaesthesia exploration, which got the attention of international scholars and experts. They took the opportunity to set up a project: “1st Synaesthesia Art Exhibition and Forum: Cross Regional Synaesthesia Survey” which has received positive responses from both domestic art colleges and institutes, including the Chinese Society of Music and Image, Qianjiang College of Hangzhou Normal University, Art and Design College of China University of Mining and Technology, Central Academy of Fine Arts Museum, Beijing Yangmei-Yihua Culture Development Company, Guang Zhou Red Dragonfly Artworks Culture, etc. During the inauguration ceremony of the project, the President of China’s Society of Music and Iconology Professor LI Yongyou, Vice Dean of Art and Media of Qian Jian College Hangzhou Normal University Professor ZHU Dan, Dean of Fine Arts University of Granada Mr. Francisco Jose Sanchez Montalban , Fellow and Emeritus Director of the John B. Pierce Laboratory affiliated Yale University Professor Lawrence E. Marks, President of UK Synaesthesia Association and Vice President of International Association of Synaesthetes Artists and Scientists Mr. James Wannerton, General Secretary of US Beacon Artist Association Mr. Ding Donghui, also sent congratulation letters to the project team. Professor Li Rongyou, President of China’s Society Music Iconology said in his congratulation letter to the project team: “ Introducing the outcome of international synaesthesia congress into China, promoting synaesthesia in science dissemination, at the same time developing the China cross regional synaesthesia survey, comparing and analyzing the difference between China and the West in synesthesia, opening the dialogue between the east and west regarding art and synaesthesia, all of these are very important with much academic value and benefit. More than ten years ago, Mr. Ninghui Xiong was involved in the practice of synaesthesia in art, exploring the meaning of Chinese synaesthesia between music and painting. This is fully consistence with our objective, which is to follow the tradition -- Music is leading total art integration. He also worked closely with other members in our society, organized a series of activities with interdisciplinary synaesthesia painting workshops, attended the International Synaesthesia Congress with Professor Ding Tongjun for culture and art communication, and organized academic circles internationally. Meanwhile, his study also gained the attention of other members of our society including Researcher Zhang Xiang, Professor Liu Yong, Li Aizhen, Wang Lei, Dr. Zhu Xiaofeng, Zhong Li and Fang Qinggang. 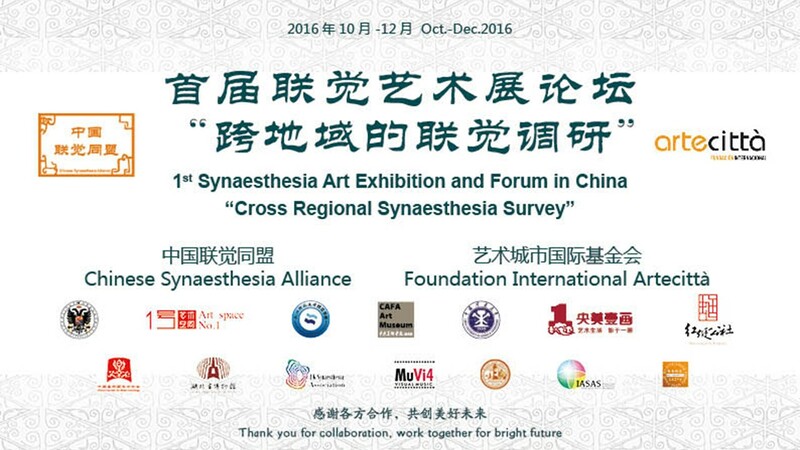 Under our joint efforts, the First Synaesthesia Art Forum will be held successfully, which will mark a new stage in the study of Chinese Synaesthesia research in art. Ding Tongjun, professor of Qianjiang College of Hangzhou Normal University said, “These exercises are in line with what we have explored and practiced in recent years in China, including “synaesthesia fishbone diagram analysis” and “Da Vinci device – music painting composition synaesthesia methodology”. If we combine them together, it will help us to cultivate the ability of synaesthesia, which is helpful to the cultivation of creative thinking through training. If we consciously apply the method of synaesthesia and open our senses, we can breakdown our mindset and find work needed for improvement. Therefore, synaesthesia consciousness is the key. This is also the purpose of our cooperation with international educational institutions to explore this cross interdisciplinary research”. 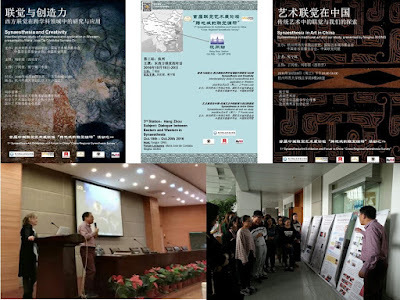 Following the event in Beijing, the project team carried out a variety of activities in Xuzhou and Hangzhou, including art exhibitions and workshops within the university academy exchange program frame contract related to synaesthesia study. The next step will continue in Guangzhou and other cities. 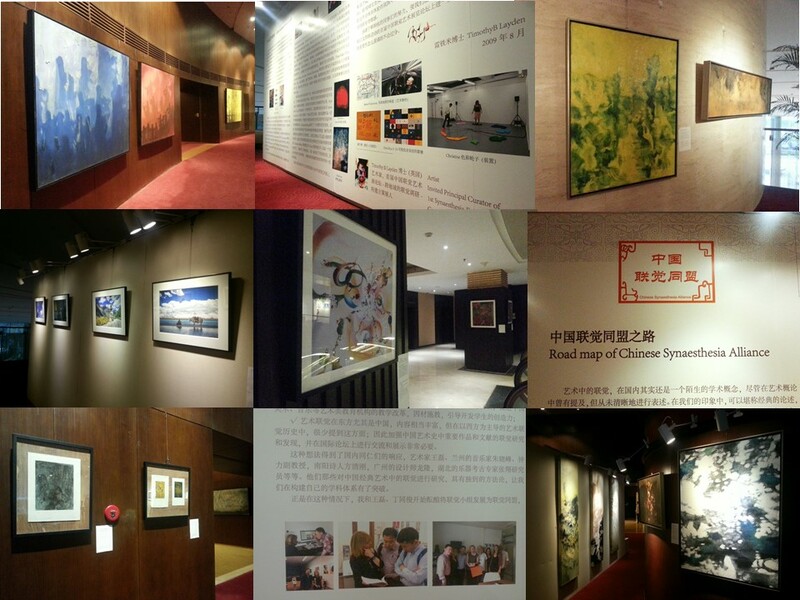 The lectures of “Synaesthesia and Creativity” made by Dr. Maria Jose De Córdoba Serrano and “Art synaesthesia in China” made by Ninghui Xiong, as well as exhibition panels related to international synaesthesia research achievements contributed by international synaesthesia study expects gained great attention from teachers. “ The International Conference of Synaesthesia”, “synaesthesia research project by Maria Jose de Cordoba”, “Scientist Lawrence Marks/Danko Nikolic talking about Synaesthesia”, “Musician Jose Lopez Montes/ Rudenko Svetlana /Alexandra Kirschner talking about Synaesthesia”, “Exploring the shape of sound by Timothy B Layden”, “Visual Music and Synaesthesia MuVi4 International Competition by Dina Riccò”, “Influence to the art creation by synaesthesia experience by Carol Steen ”, “Art synaesthesia from taste by James Wannerton”, “Synaesthesia Perception Support the Product Design by Michael Havercamp” and so on, the content was novel, unique and innovative according to their feedback. The project team carried out a variety of activities in Xuzhou and Hangzhou, including art exhibitions and workshops within the university academy exchange program frame contract related to synaesthesia study. 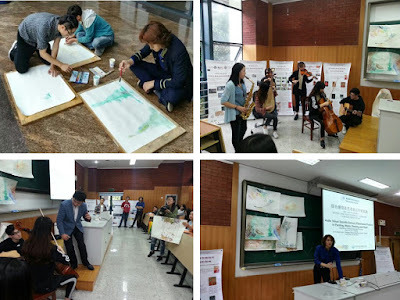 In the last session, “Synaesthesia and Cross Sensory Practice in Art Workshop” held in Hangzhou Normal University in the afternoon of October 19th, Professor Maria Jose De Cordoba guided students to participate in the cross sensory practice of converting sound to painting, and image to music. The activity was very interesting. The students who major in musical performance, art and design were fully involved; they expressed themselves with their hands, painting, with musical instruments and dance. The atmosphere was lively.